David has recorded and published a video of his presentation on SQL Server Graph Database. 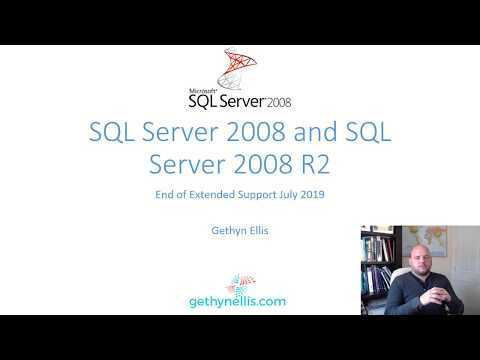 In his video which you can watch below, David provides an excellent introduction into SQL Server 2017 Graph Databases. In his presentation he looks at Tennis results at tournaments for his favourite player "The Fed" Rodger Federer. David shows how to set up graph database and work with them in SQL Server 2017. Graph Database is not new. Other vendors have had graph database capabilities for some time so Microsoft are quite late to the market. In David presentation it appears that Microsoft have done a reasonable job of implementing some of the graph database features but he does point some of the limitations of the Microsoft product too and suggests that it is not ready for production yet but Microsoft seem serious about this feature. Excellent introduction David to a subject I knew little about. Great video but is David a time traveler? He did not do this presentation until September 16, 2017 (look at lower left corner) and it is August 22, 2017 today... Mystery!